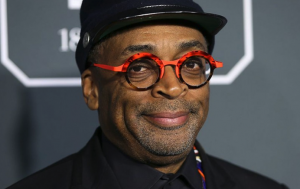 “BlacKkKlansman” director Spike Lee labeled famed explorer Christopher Columbus a “terrorist” during an interview Wednesday while also urging the United States to be truthful about the country’s past. The Oscar nominee was a guest on MSNBC’s “Morning Joe” when he made the comments after being asked what he thought about the state of race in America. “Well I just think that what we’ve seen, it’s evident to me that this stuff has never gone away,” Lee said, before explaining his attire for the interview.